It’s never fun, but sometimes you need to take a time out and sharpen all of your tools. I’d rather be making stuff. Sharpened three plane irons, seven bench chisels, and three turning tools today. 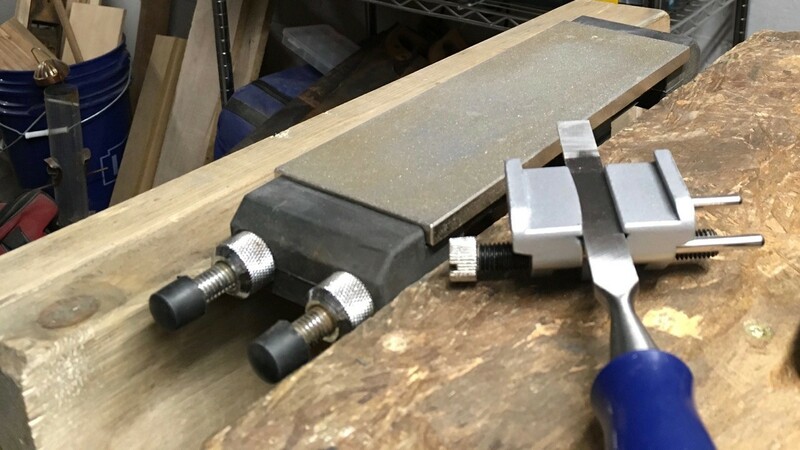 I noticed that I had been sharpening my bench chisels with a slight skew despite using a side clamp guide. I need to trouble shoot that as it’s a recurring issue.